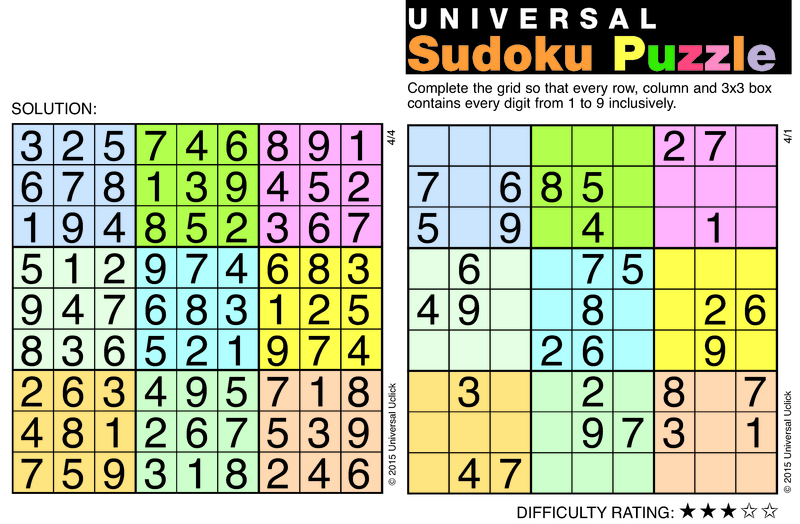 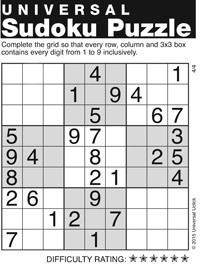 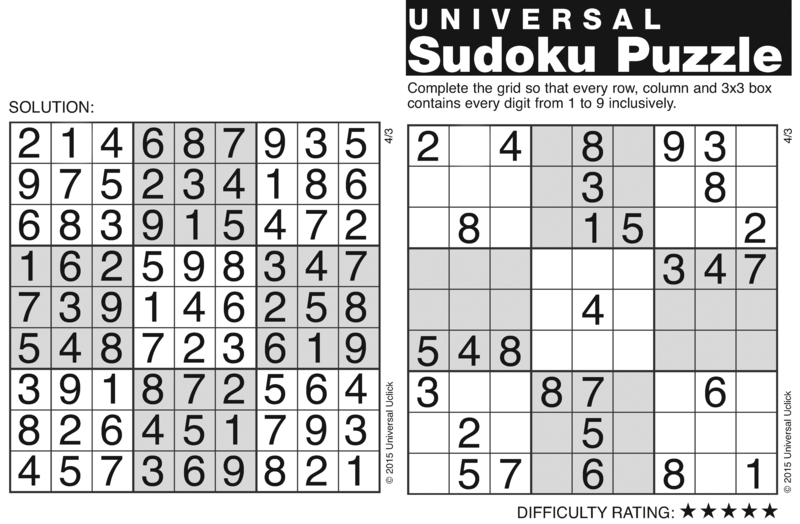 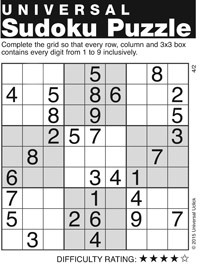 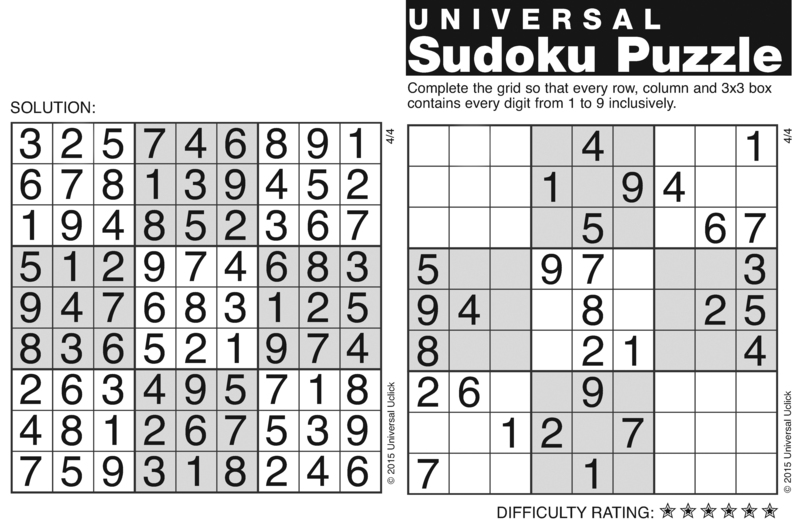 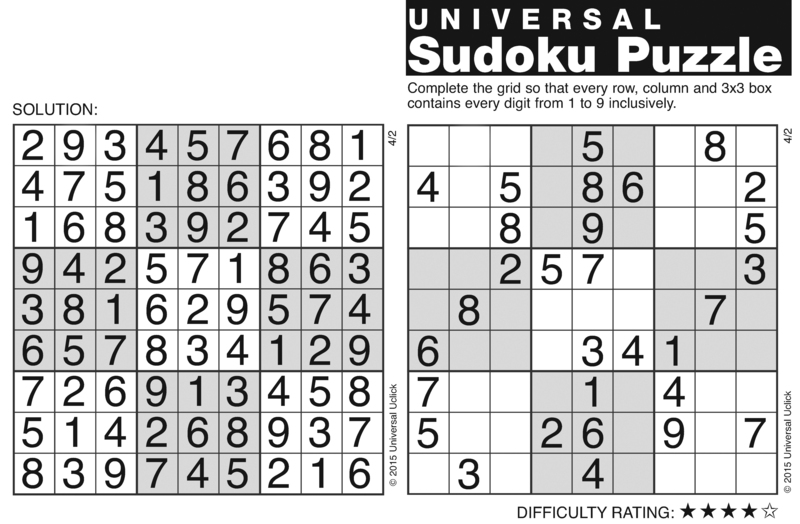 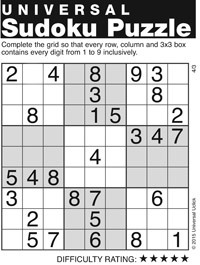 Categories: International, Men, Number, Women, Sudoku, Universal, Kids, 9, Nine, Domestic, Puzzle. 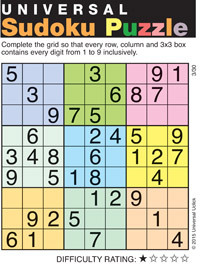 It is a puzzle that uses numbers instead of words. 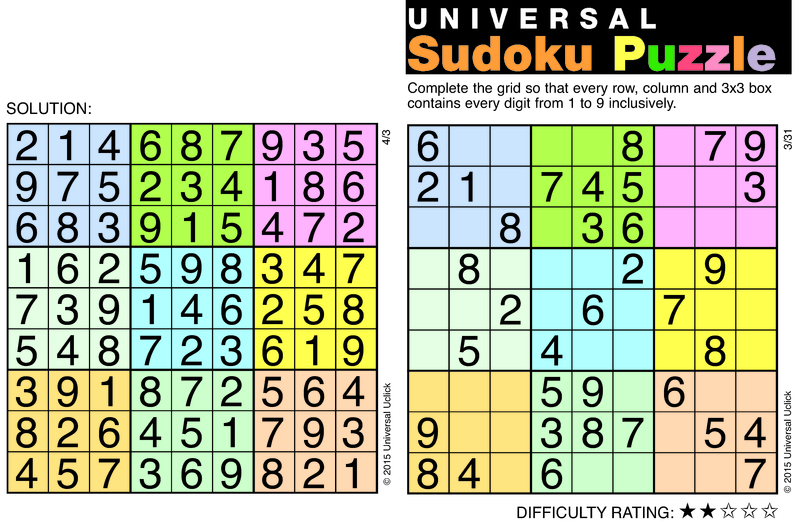 It's a grid of 81 squares, divided into 9 blocks of 9 squares each. 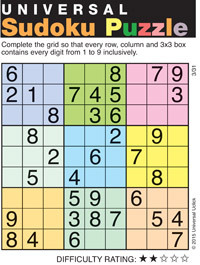 Some of the squares contain a digit. 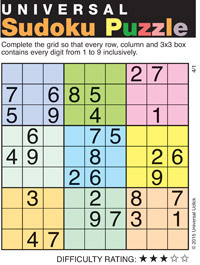 The goal is to fill in the empty squares so that the digits 1 through 9 appear just once in every row, column and individual block.